A new film club is coming to “Venue 1550” at the Daystar Center, 1550 S. State St. Chicago. Hosted by Stephen Reginald, the film club will feature four classic films having connections with Chicago. 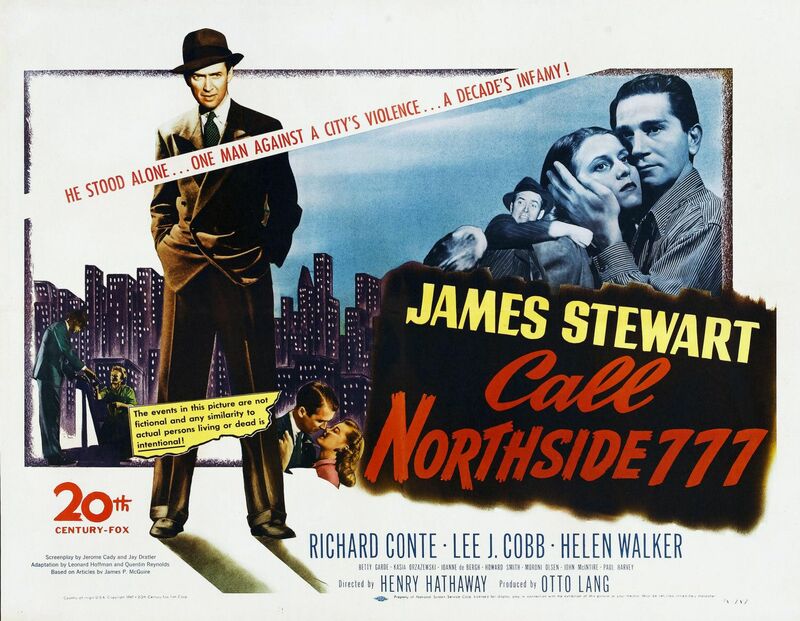 Some like Henry Hathaway’s Call Northside 777 were shot entirely on location in the city, while others like Alfred Hitchcock’s North by Northwest, features several critical scenes in the windy city. Films will be screened at 7 p.m. on the second Thursdays of the month, starting September 13, 2012. Reginald will introduce each film giving background information before screenings, with Q & A afterwards. Reginald is a freelance writer/editor and popular instructor at Facets Film School in Chicago. He was also the original host of Meet Me at the Movies. Call Northside 777 (1948)—Directed by Henry Hathaway and starring James Stewart, this semi-documentary style film is based on a true story, filmed entirely on location in Chicago. Stewart plays P.J. McNeal, a reporter for the Chicago Times who attempts to find new evidence in an 11-year-old cop killer case. McNeal comes to believe that Frank Weicek, the convicted murderer, took the fall for someone else and was falsely imprisoned. The movie features beautiful black and white cinematography and great Chicago locations. See how the city has changed (and remained the same) since 1948. 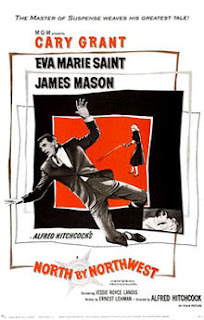 North by Northwest (1959)—Directed by Alfred Hitchcock and starring Cary Grant, Eva Marie Saint, and James Mason, in one of the classiest espionage films of all time. Grant plays advertising executive Roger O. Thornhill (ROT) who is mistaken for an American agent and framed for murder. Saint plays the mistress of real spy Mason and is used as bait to catch Grant. Featuring some great Chicago locations, including the Ambassador East Hotel, the old LaSalle Street train station, and a glimpse of late-1950s Michigan Avenue. The success of this film led to Grant being offered the role of James Bond, which he turned down, thinking he was too old to play Ian Fleming’s famous agent 007. 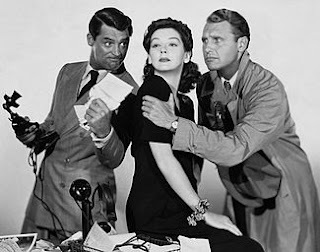 His Girl Friday (1940)—Directed by Howard Hawks and starring Cary Grant and Rosalind Russell His Girl Friday is an adaptation of the Ben Hecht and Charles MacArthur classic Broadway smash, The Front Page. Grant plays Walter Burns, a Chicago newspaper managing editor and Russell is Hildy Johnson an ex-reporter for the same paper and Burns’s ex-wife. On the eve of her marriage to a new man, Burns tries to convince Hildy to come back to the paper…and him. Considered one of the greatest classic screwball comedies of all time, His Girl Friday is filled with non-stop one liners and the fastest dialogue ever recorded on film! Some Like It Hot (1959)—Directed by Billy Wilder and starring Marilyn Monroe, Tony Curtis, and Jack Lemmon, this classic was voted funniest film of all time by the American Film Institute. Curtis and Lemmon play Chicago musicians who accidentally witness the Saint Valentine’s Day massacre of 1929. The men disguise themselves as women and travel south with Sweet Sue’s all-girl band in an attempt to avoid “Spats” Colombo and his gang who are determined to kill them. 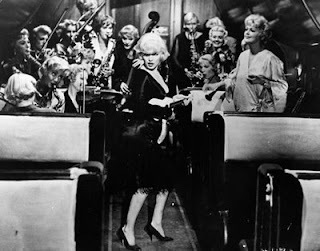 Monroe—the band’s vocalist—and the “girls” become bosom buddies along the way, which leads to some hilarious situations and some unusual conclusions. Movie admission is $7 per film or $20 for all four. To purchase tickets, click here. “Venue 1550” is a unique space in the DayStar Center located at 1550 S. State St. “The Venue” hosts musical concerts, documentary films, lectures, and community meetings. For more information on utilizing this space for yourself or your organization, please call 312.674.0001.